That beautiful sky with a light exquisite! A beautiful picture of the sunshine through the clouds! Stunning sky. I really do like it. What a lovely sky! Such a rich blue and interesting clouds. Great capture to share! What a beautiful way to start the day. 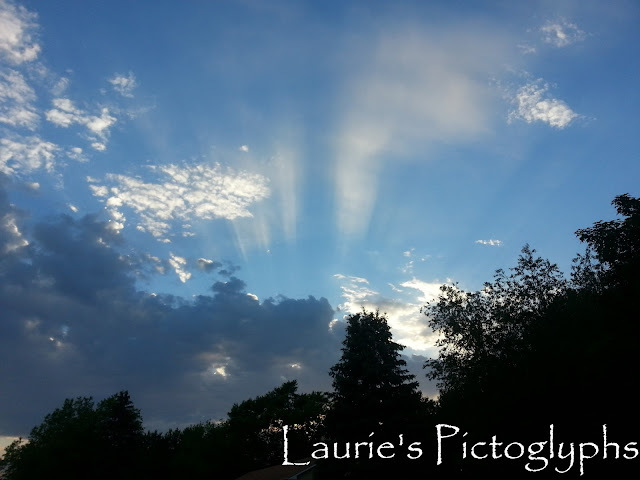 What a spectacular sky Laurie, I am so glad you captured and shared it with us. The light in the sky is beautiful. I wish we had that here today…heavy rain. Your image is almost magical.